Lovely Sunlit Hills hacienda with attached spacious casita. 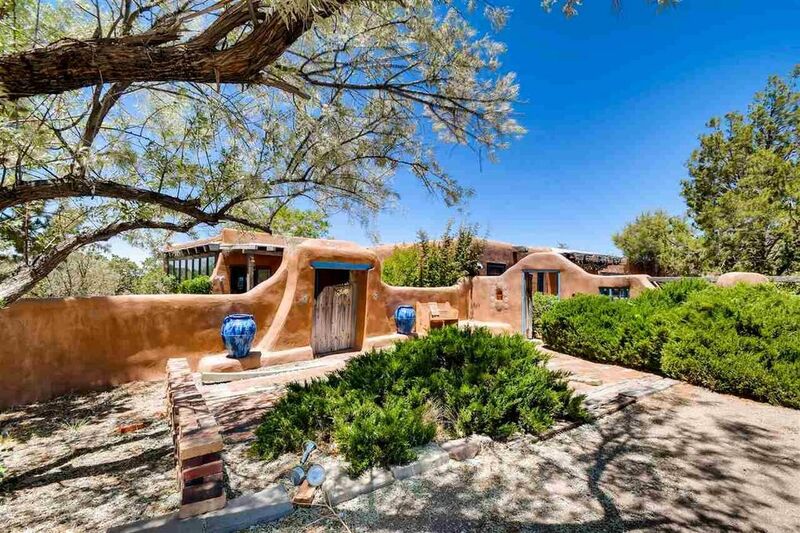 Wonderful walled landscaped courtyards and grounds with an adobe cabana on the back patio. One bedroom, one bath casita with mini kitchen has pretty private courtyard and entrance, beamed ceilings and 3/4 bath. Dramatic sunroom off the large greatroom with brick floors. Refrigerator and dishwasher are 2 years old. Almost all windows are new. New roof in 2013. 3 splits with heat and a/c. New septic and leach field 6 years ago. Sunroom is unheated. Please go through sunroom to enter casita. Storage in garage stays. Directions: Old Las Vegas Highway to Nine Mile Road. Turn left on Nine Mile Road. Sunlit Drive is on the right at the bottom of the hill. Turn in to the first driveway on the left.